Let me take this St. Patrick’s Day opportunity to remind you that GREEN is the Leprechaun secret to eternal youth and good luck! Mix the following ingredients together in a medium-­‐‑sized bowl. In a small bowl, mix the following ingredients to prepare the dressing. Add enough dressing to the vegetable mixture to moisten it. Save any leftover dressing to thin with sunflower oil for a hot but yummy salad dressing. 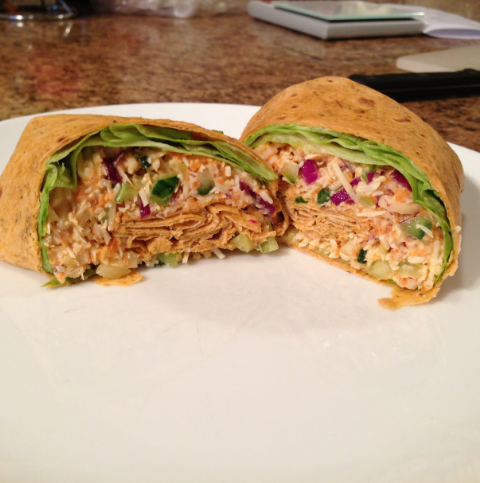 Spoon vegetable mixture into lettuce-­‐‑lined spinach-­flavored tortilla wraps and roll into burritos. Heat water in wok or round-­‐‑bottomed skillet over medium heat until very hot. Add beans and cook until water evaporates. Meanwhile, heat oil in a separate skillet. Sieve beans and drop into heated oil, stirring until evenly coated. Cook on medium-­‐‑high heat, stirring occasionally, for 10 minutes or until edges of beans start to brown and crisp. Add liberal amounts of seasoning or to taste. Serve immediately. 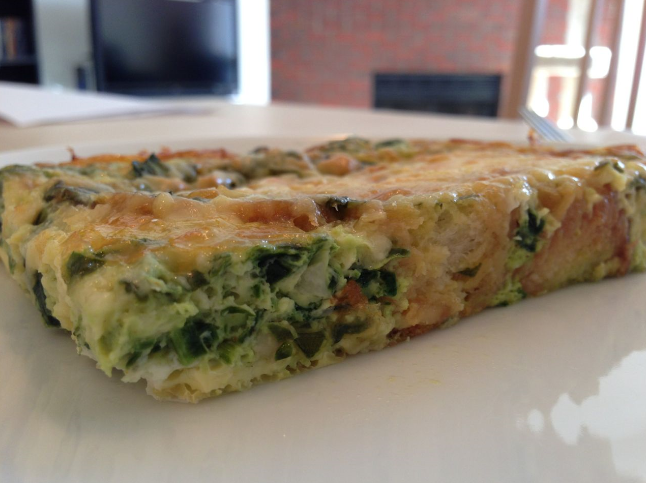 Arrange bread in buttered 9×13 baking dish. Mix all other ingredients except cheese and pour over bread. Top with shredded cheese. Cover and let sit in refrigerator overnight. Bake the next morning at 350 degrees for 45 minutes. Allow to rest 15 minutes after removing from oven. Serve with minted fruit salad. 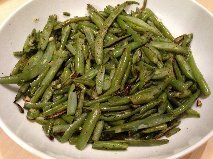 2 Responses to "GREEN RECIPES FOR A MEATLESS ST. PATRICK’S DAY"
I love those green beans. So easy to make and so delicious!